When I was a teenager, my wardrobe consisted of about 90 percent black clothing. Black tops, black jeans, little black dresses, black coats, even black socks- when it came to my clothing, the darker the garment, the more likely I was to wear it. Fast forward a decade or two and these days, while I no longer fear colour, my black clothing items still remain my staple pieces that I reach for more often than not. I'm particularly fond of black jeans and skirts because they can easily be dressed up or down and complement virtually anything I fancy wearing up top. 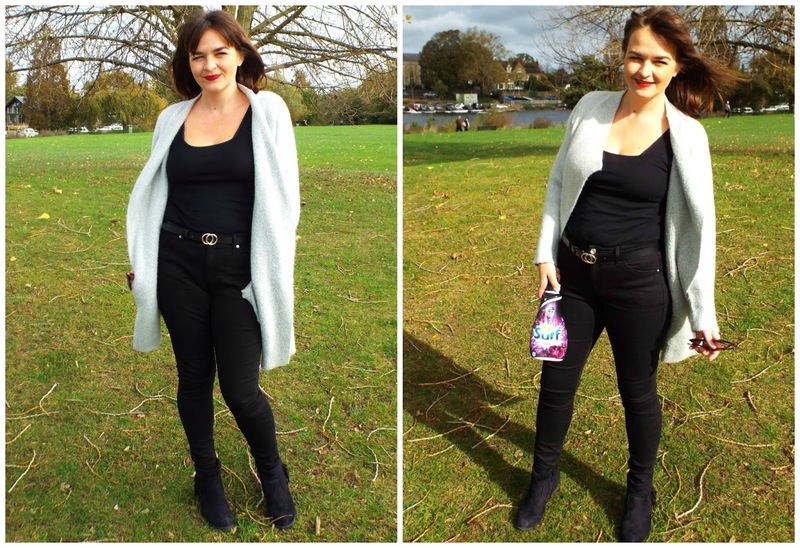 I pretty much live in black jeans in Autumn/ Winter as not only do they keep my legs toasty, they make me feel confident and comfortable and instantly 'put together'. 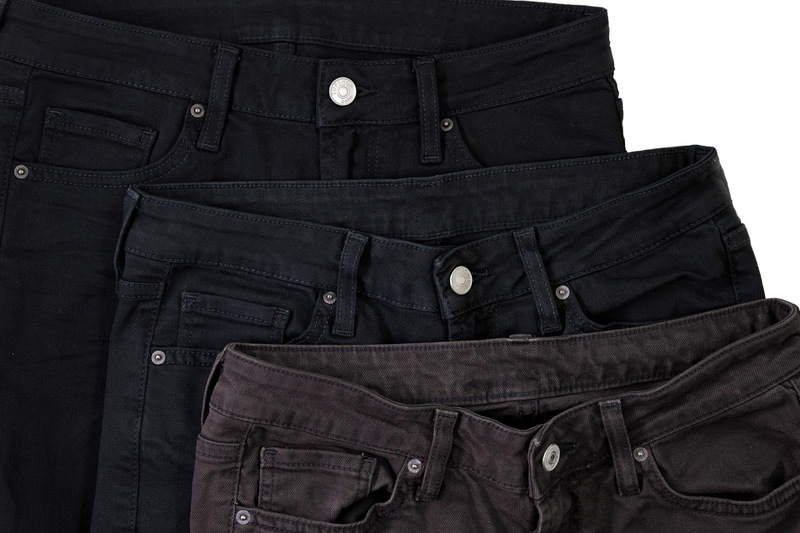 My only bugbear with my beloved black jeans (and tops for that matter) is that they do need to be washed and therefore over time lose that dark richness that makes them so appealing in the first place. I want my black clothes to stay black but I also obviously want to be able to wash them regularly without fearing the dreaded fade. This is where Surf Perfect Black Detergent comes in. Specially designed to keep your dark clothes looking newer for longer, Surf Perfect Black is aptly named as it's the perfect laundry detergent for lovers of black and darker coloured clothing. Suitable for all dark clothes, Surf Perfect Black helps to prevent that fading we've all come to expect after washing our fave dark gladrags more than a few times. It's always a bit disheartening when I pull out one of my most comfortable black vests to wear only to notice that it lacks the vibrancy it used to have and looks frankly too dull and well loved to ever see the light of day again! So a product designed to keep my treasured dark items looking fresh and new for longer is definitely something I can get on board with. Call me fickle but the scent of my laundry products is pretty important to me (Rich and I often have a sneaky sniff in the supermarket before choosing our detergents and fabric softener) and I can definitely put my hand up and say that Surf Perfect Black smells pretty superb with its exotic midnight orchid lily scent. Scent-appeal aside, the big question is does Surf Perfect Black come through with the goods and do what it says it does? Can it really keep my dark clothes looking new for longer? In the image below you can see the results of Surf Perfect Black in action. The jeans are all the same pair of black jeans I’m wearing in the photo above - the pair at the top is brand new, the pair in the middle has been washed twenty times with Surf Perfect Black liquid and the bottom pair has been washed twenty times with a powder detergent. I think we can all agree there's a pretty clear difference - the pair that has been washed with the powder detergent are significantly more faded and have lost those indigo dyes that are often first to go when washing black clothes leaving it looking a bit grey/brownish. As an avid wearer of black and dark clothing, I'm pretty excited by the revelation that is Surf Perfect Black. I know that's a little dramatic because we're talking about laundry detergent here, but it's the little pleasures in life that make all the difference, right? 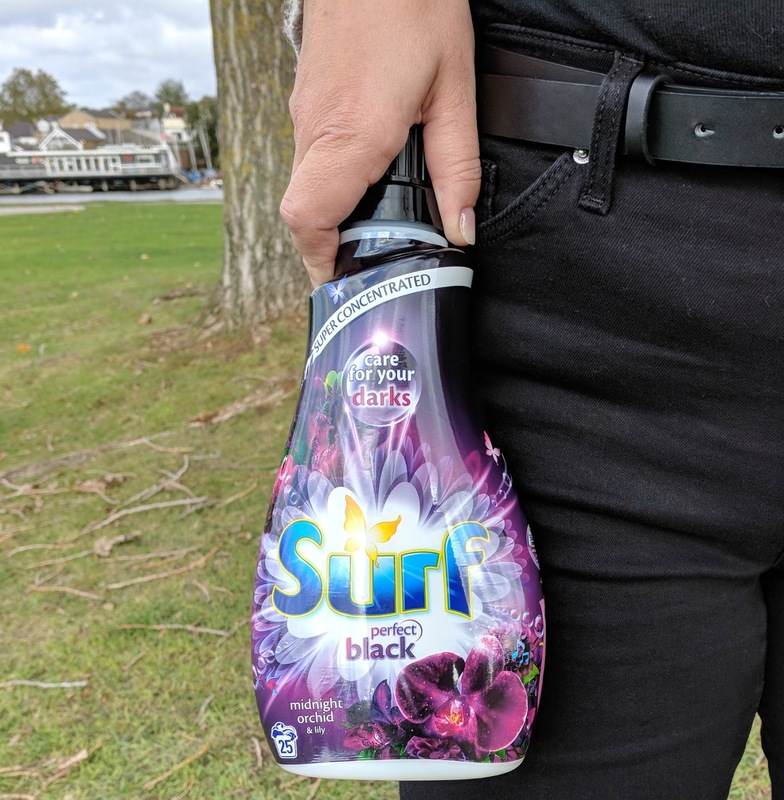 If you like your darks dark and want to keep your own black jeans looking new for longer, keep an eye out for Surf Perfect Black next time you're in your local supermarket. Surf Perfect Black is available in selected Tesco, ASDA and Sainsbury's and is also available to purchase online here.